It’s always been a dream of mine to play the banjo. There’s something about the high, happy sound it makes, combined with the speed of a proficient player’s fingers, that has always impressed me. I deferred this dream for a long time, but last year, I rewarded myself for a good run of work accomplishments by going to a string shop in Santa Monica and buying a beginner’s instrument and gear: gig bag, finger picks, how-to-teach-yourself-DVD (which I’ve never used), and a beginner’s lesson book. After one month of owning the banjo, I’d learned the basic patterns of finger rolls and the first three chords. After one year, I was in exactly the same place. It’s not that I didn’t want to practice; of course I wanted to improve. But I was busy. 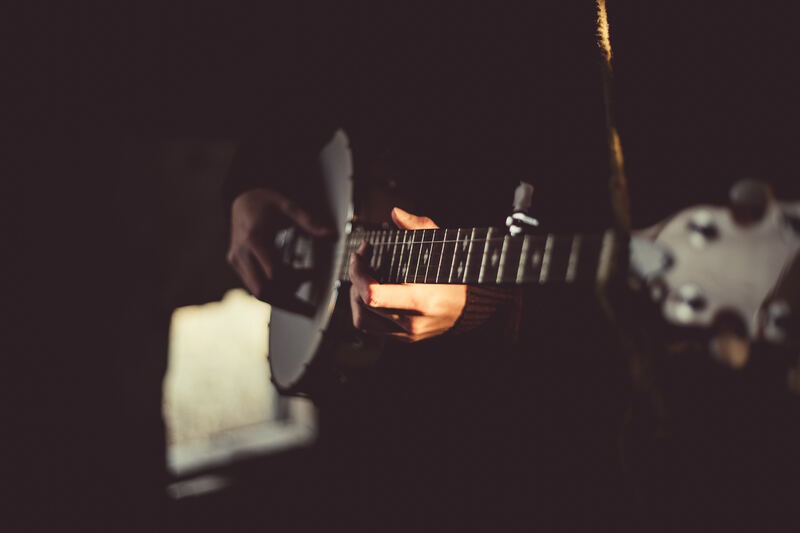 Every day when I’d walk past my instrument, I’d feel a surge of guilt, knowing that I was abandoning my music practice in favor of other activities: making dinner, working, writing for a deadline, or enjoying a social life. Every once in a while I’d pick up the banjo and play the same few notes I’d been playing for the past year, followed by a rigorous session of improvisation. In spite of these efforts, I still couldn’t get past that same old page in my lesson book. Every time I tried, the book fell open to that page. If I tried to turn that page over, it’d float right back, reminding me that I wasn’t getting anywhere on my own. This lack of progress was frustrating and foreign. I’d taught myself the guitar in college and even played the bass for a while. But that was when I was in my 20s, when I had more time. The difference now is that I’m a full-time working adult with responsibilities. Self-employed, no less, which means even when there’s nothing to do, there is always something to do. I no longer have the empty hours before me that I did when I was 20. I realized I needed to take lessons if I intended to get more proficient, because without that regular commitment, the work would not get done. Fortunately, my significant other had bought me two beginner lessons for Christmas. I decided it was finally time to redeem them. I went to the local music shop and left word for the banjo teacher that I wanted to get started. That was three weeks ago. I have, in that time, had exactly two solo banjo lessons, each thirty minutes long. The first music lessons of my entire life. At my first lesson, I was so nervous I blanked out, forgot how to read tablature, and struggled to play even the simplest things I knew I could do well at home. The teacher was kind and patient and told me everyone gets stage fright. I went home after that lesson and practiced about 30 minutes a day for the next seven days–more than I’d practiced in months, and certainly more consistently. I even found the confidence to try a new song on a new page in the book. But when I got to “Worried Man Blues,” an old classic that Woody Guthrie, Pete Seeger, and Johnny Cash had been known to play, I froze up at the sheer number of notes required, said, “This is too advanced for me,” and closed the book. I couldn’t tell my teacher no, so I did it. I played the song. Slowly, haltingly in a few spots, but I made it through. I played it again, a little better this time. I played it a third time. My teacher wrapped up the lesson by praising what I did well and giving me advice about what to work on. Then he asked me if I wanted to sign up for two more lessons. I said yes. I signed up. Then I sailed out of the music shop on a high. I was getting better. After only two lessons. The instructor hadn’t done anything revolutionary to get me to improve. He hadn’t cracked my knuckles with a ruler or broken down my spirit in order to build me back up again. He’d simply made me push farther than I’d been willing to push on my own. This moment was a revelation to me. First, I learned that incremental progress is still progress. It may sound basic to most people, but to me, someone who has always been a fits-and-starts worker, a black-and-white thinker, and yes, a perfectionist, this concept is new: If you work a little harder every day, after seven days you will be a lot farther along than you were when you started. You may not be done, you may not be great, but you’ll be better. Second, I recognized the value of coaching as a learning tool. I saw how it could work for certain people like myself; those of us who worry more about disappointing others than ourselves. To the lifelong good student, the idea of letting a teacher down is sinful. To put this another, less noble way, I want to impress people. I want to show measurable improvement. I want the praise. Knowing this, I realized there was no way I was going to show up to my third lesson with muted strings, sloppy chords, and the inability to make it through “Worried Man Blues” without stopping. Scheduling a lesson a week in my future was a way of ensuring that I would make a certain amount of progress by a specific date. One would think I’d have this epiphany sooner, having spent years as a tutor, but it took being on the receiving end of individualized coaching for me to truly understand how it works if it’s done well. If you respect yourself (your time, your money, your desire to learn), you’ll respect your teacher. If you respect your teacher, you’ll get your work done on time and in great shape. Furthermore, you’ll listen if your teacher makes you do something that scares you, even if it means doing it poorly in front of an audience. I can see now why life coaching is becoming so popular. Once we get out of school and into the wider world, the mentorship of the classroom vanishes. Those of us who work for ourselves are particularly challenged in that we’re often inventing our own job descriptions and standards. If we do a good job, we get paid, but who’s there to push us a little harder, to make us achieve a little more? Sometimes to get yourself unstuck, you need an outside motivator to help you. Those push or pull forces can be the difference between rocking out with Johnny Cash or slinking guiltily past your music stand. I know this is a spam comment, and yet, I cannot bring myself to unpublish something that says my writing is perfect. What does that say about me?